Lakeshore Records will release two volumes of music from Netflix original series Narcos digitally on September 2 and on CD shortly thereafter. The album features the songs featured in the first season of the hit series from artists including Los Golden Boys, Los Corraleros de Majagual, Los Pamperos, and Afrosound. The label previously released an album of the original score music, composed by Pedro Bromfman. 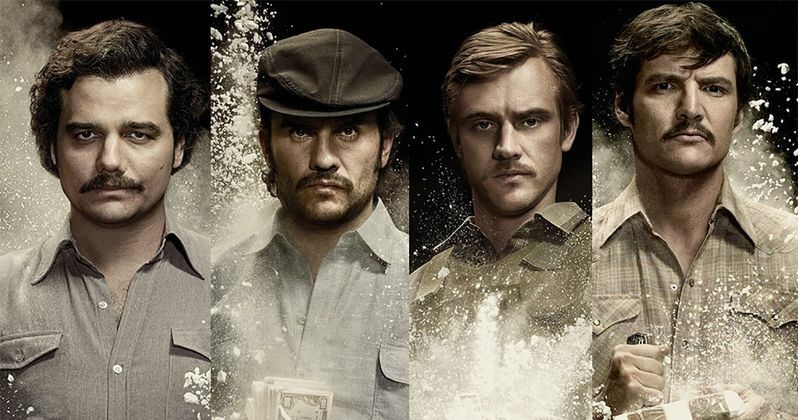 Narcos season 2 chronicles the gripping real-life stories of the drug kingpins of the late 1980s and the corroborative efforts of law enforcement to meet them head on in brutal, bloody conflict. It details the conflicting forces - legal, political, police, military and civilian - that clash in an effort to control the world's most powerful commodity: cocaine. "During season one of Narcos, we discovered a wealth of Colombian and Latin music and are excited to share it outside the context of the series," said music supervisor Liza Richardson. "We took care to make sure the song choices were authentic to the times and characters and we hope the music connects you to the rich culture depicted in Narcos." All 10 episodes of the first season of Narcos are currently viewable on Netflix. Season Two will be available exclusively via Netflix on Friday, September 2, 2016. Lakeshore Records will release Narcos VOL. 1 & 2 - Original Netflix Series Soundtrack digitally on September 2 and on CD shortly thereafter.